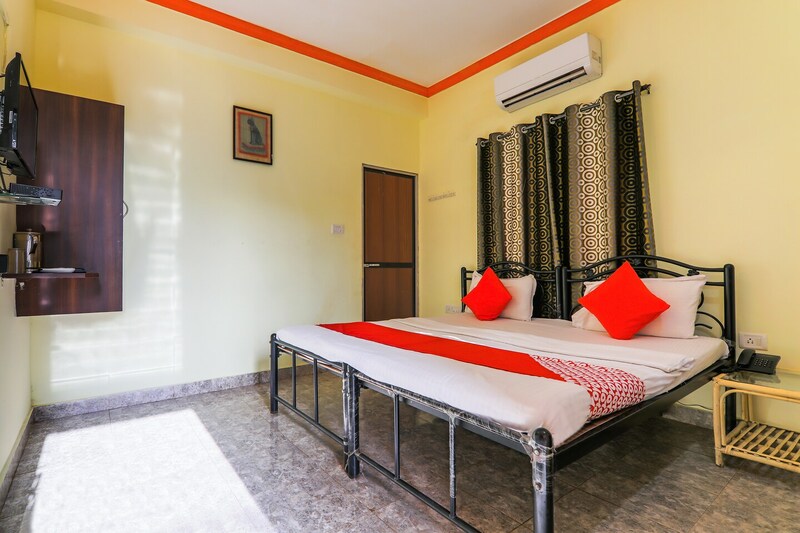 Hotel Joaquim is an affordable accommodation located at Baga in Goa. The hotel is close to the Baga Beach, Calangute Beach, Snow Park, Our Lady of Piety Church, and Benz Celebrity Wax Museum. The rooms are brightly painted and include basic furnishings like wrought iron bed and small closet with mirror. The hotel also has an in-house restaurant. The hotel offers amenities like free Wi-Fi, AC, TV, Geyser, Dining Area and Power Backup. Guests can visit Patio 23, Baptis Bar & Restaurant, Dominos Pizza, Cape Town, and Mambos for delicious Goan food. For shopping, head to Tibetan Market and Gipsy Mart.